Launched back in 2015, this mini MPV from Toyota has remained relatively unchanged. In fact, this is the badge-engineered version of the Daihatsu Xenia built in Indonesia. As an entry-level MPV, it is powered by a 1.5-litre 4-cylinder engine producing 103 hp and 139 Nm of torque mated to a 4-speed automatic transmission. Across its three variants, it can be had with up to 7 seats. The Avanza makes sense as a budget MPV with its pleasing equipment levels and simplicity. With SUVs in more demand nowadays, Toyota has slowly shifted focus to the likes of Rush which is based on the same platform. 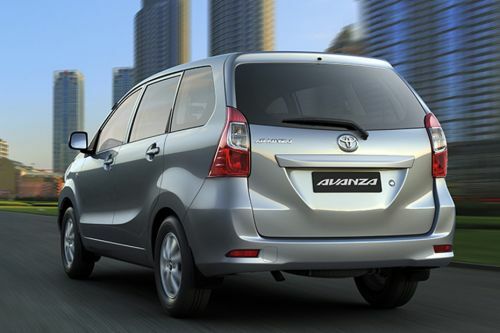 Yet thanks to its very affordable price, the Avanza still enjoys decent demand even without getting any major updates. Avanza is available in 6 different colors - White, Silver Metallic, Grey Metallic, Beige Metallic, Blue Metallic and Black Metallic. For the MUV segment, it was the Toyota Innova which re-written the rules of the segment. And these rules are tough to match by any other MUV in the world. However, with the latest iteration, the Innova surely has become more premium, but the added premium-ness comes at an added cost, and this is where the Avanza comes into the picture. Many people still prefer functionality over form, and the Avanza, by being the most affordable MUV in Toyota’s lineup positioned below the Innova, serves this purpose by being a low-budget MUV. The Toyota Avanza is available in three different versions – the very basic GLS, GLX and top-spec SE, and is offered in Silver Mica Metallic, Grey Metallic, Blue Metallic, Beige Metallic, Black Metallic and White. On the inside, the Toyota Avanza maintains its seven seating layout with ease and good amount of space, however, the big question here is the overall layout and design of the front dashboard. The car lacks the premium feel and levels of kit and features, though considering the price it asks, it still manages to be functional. The three-spoke steering wheel looks very basic, however, the steering mounted controls and silver finish on both the sides of the holding portion of the steering wheel do make it eye-pleasing. The instrument console too looks plain, however, it does come with digital panel for the MID, thus restricting it to feel too dull. The center console is plain and looks too dated in our opinion, and though the entire center console is finished in silver, the overall layout of console with dated looking buttons for a very basic music system and manual controls for the AC make it look a bit archaic. However, the overall dual tone black with beige layout for the entire cabin does manage to lift up the ambience a bit. In terms of features, the Toyota Avanza feels very basic and covers up the basic ground by being equipped with general features like a 6-speaker 2-DIN audio system with Bluetooth, power windows, central locking and tilt adjustable steering, and the lack of other comfort and convenience features which are now taken for granted in new generation of cars, do make the Avanza feel like a car of last generation, which actually, it is. On the outside, the Toyota Avanza looks very distinctive, and while it is not as plush looking as Innova, it is not as boring looking as most of the MUVs in the market right now. The Avanza looks a bit oddball, which might not be eye pleasing for most of the people, however, it still manages to have its own persona which makes it look distinctive and noticeable. At the front, the Toyota Avanza has got a short bonnet profile, which ends up in a large U-shaped grille. The grille comes with four black slats with a thick chrome slat at the top, making the front look bulky and aggressive. The sweptback and curvy headlamps which are adjacent to the chrome slat of the grille might not be styled to everyone’s taste, however, it does make the front end look different in reality. The side profile of the Avanza, like many other MUVs, looks a bit bland and misses out on any character crease or curve. The wheel arches do get slight bulges to add some mass appeal to the side profile of the Avanza, while the 15-inch alloy wheels are the only premium bits when the vehicle is viewed from the side. At the rear, just like the front, the Avanza tries to looks different, but ends up in looking a bit quirky. The long vertical tail lamps and large hatch for the rear door are very MUV-ish, though the roof spoiler as well as chrome garnish on the rear door do add some premium and sporty feel to the Avanza. The smile-like shape for the rear license plate place looks distinctive, though. The Toyota Avanza comes equipped with MacPherson struts at the front and 5-link type suspension at the rear, which thanks to its overall appeal of an MUV, have been set on a softer side. The tall profile of the Avanza gives the MUV a slight amount of body roll when pushed hard, however, it is nowhere near to being uncomfortable on the inside. The space is generous enough and the MUV compromises its lack of convenience features with the amount of comfort and space it provides in all the three rows. For the Toyota Avanza, Toyota has plonked in a 1.5-litre four cylinder petrol engine, which does the duty on many other similarly priced entry level Toyota cars like the Yaris. The engine is good enough for producing a maximum power output of 103 bhp and a peak torque output of 136 Nm. Considering the lightweight form of the Avanza, the engine is refined and powerful enough to make the overall performance brisk and adequate, if not “powerful”. The engine here comes mated to a basic 4-speed torque converter. Being an entry-level MUV, don’t expect the Toyota Avanza to get all the state-of-the-art safety features. However, the Avanza still is equipped with the satisfactory basics, which include dual front airbags, ABS with EBD, front and rear fog lamps, vehicle stability control, tire pressure monitoring system and reverse parking sensors. The Toyota Avanza does what the most of the other MUVs generally do – prefer functionality over form and ferry passengers from one place to other in comfort. It is not as ground breaking as the Innova – the styling is not too eye-pleasing, the interior cabin looks tad too basic and the lack of comfort and convenience features is not too helping either. However, what it does best is provide ample amount of space and comfort on the inside for all the three rows, and considering its low price point, it is a good option for those who just prefer the basic usage of an MUV over anything else and not see it as a prestige vehicle rich on appeal and equipment. What is the price of Toyota Avanza? On road prices of Toyota Avanza in starts from AED65,900 for base variant GLS, while the top spec variant SE costs at AED66,675 . What are the colors options available in Toyota Avanza? 2018 Toyota Avanza: What is new?